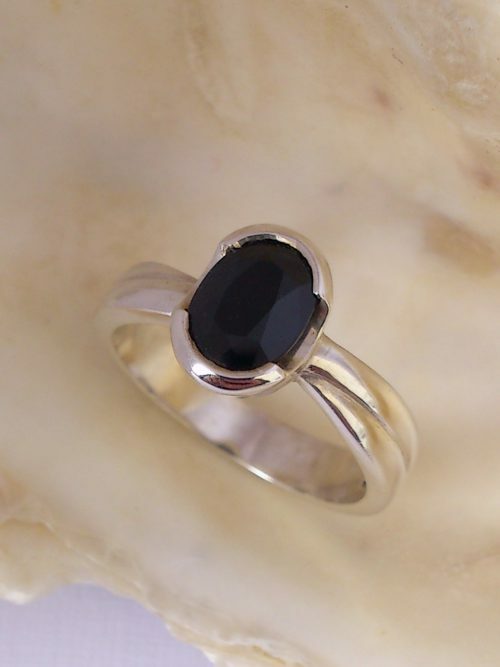 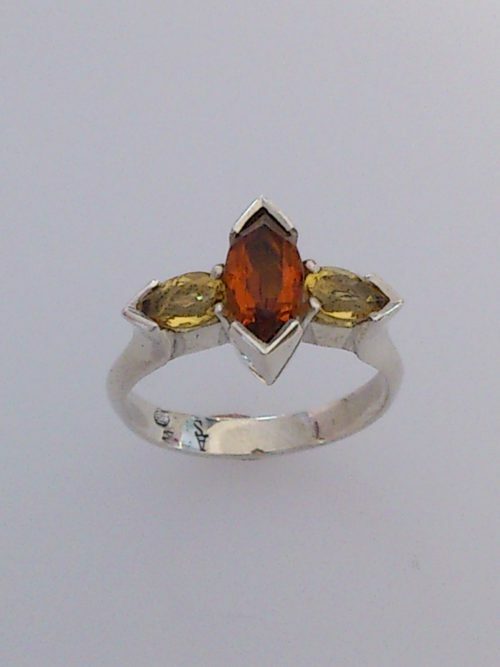 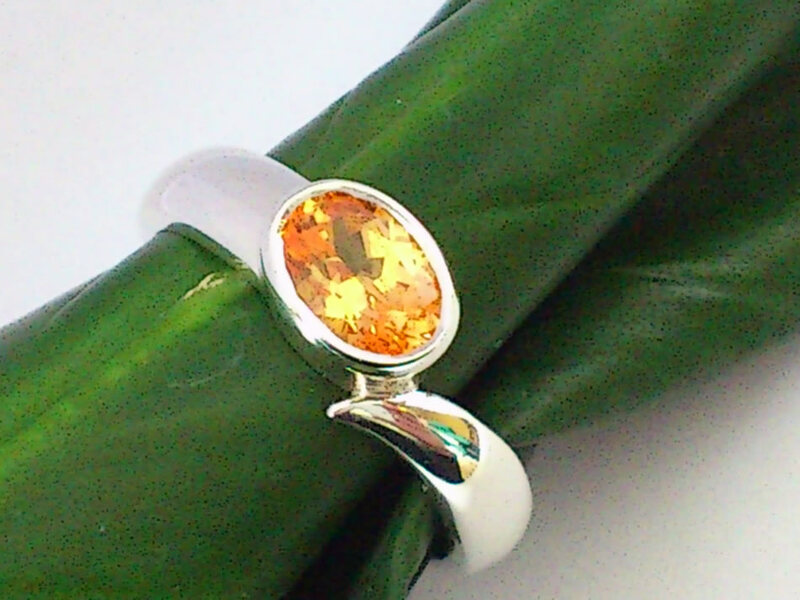 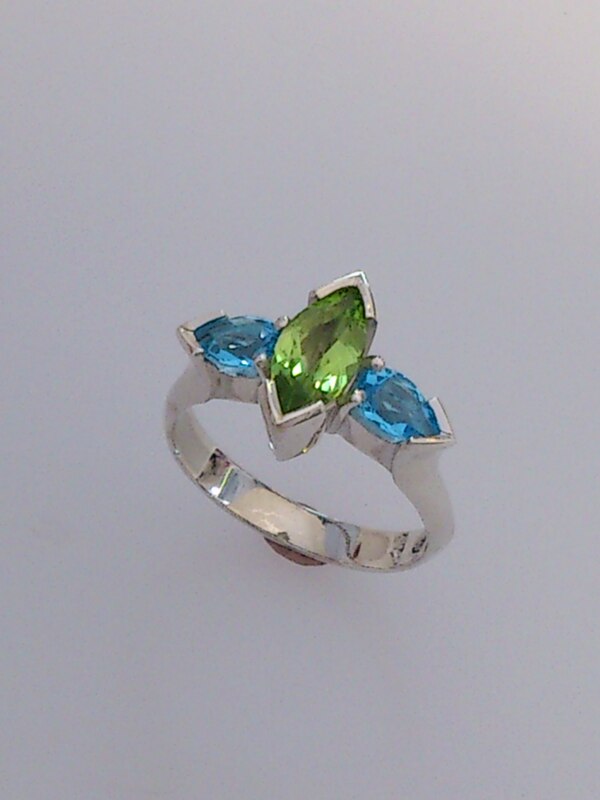 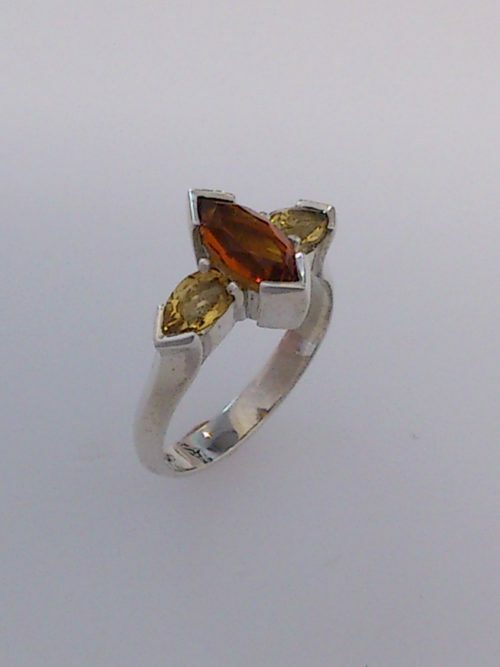 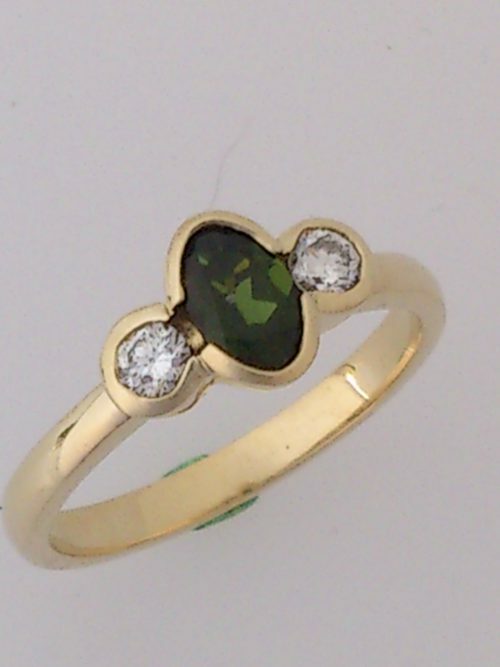 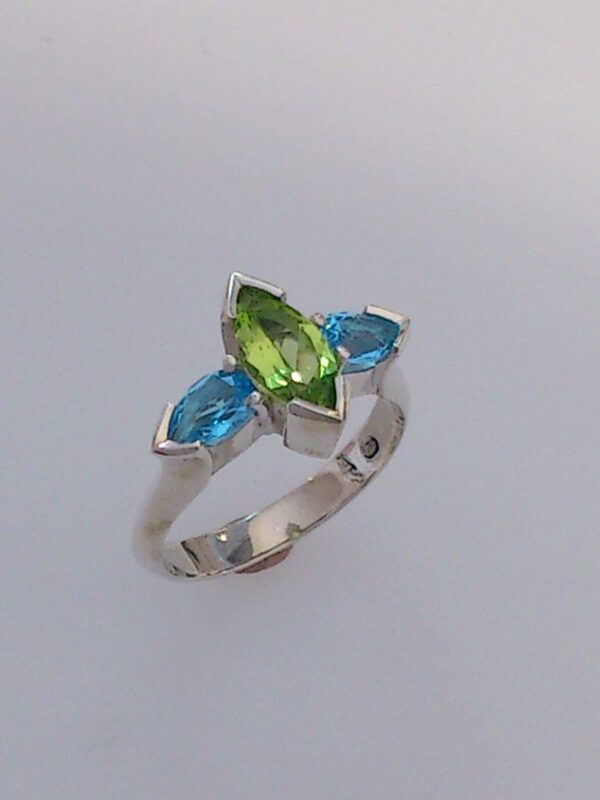 A gorgeous sterling silver peridot and swiss blue topaz dress ring. 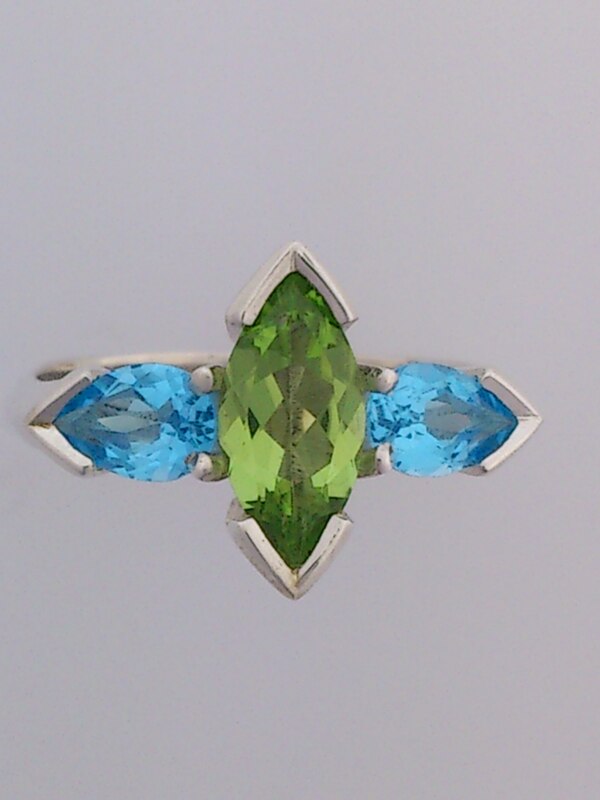 The bright green marquise peridot is flanked by two beautiful pear shaped blue topaz. 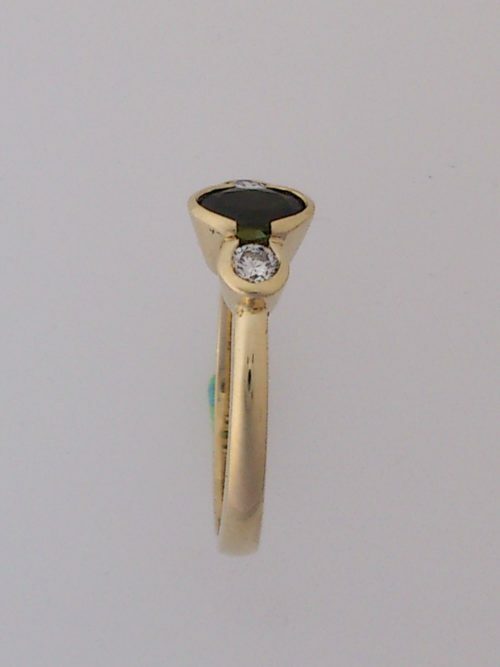 The rounded shank is raised, curved, and flared out to form a ridged, upswept shoulder. 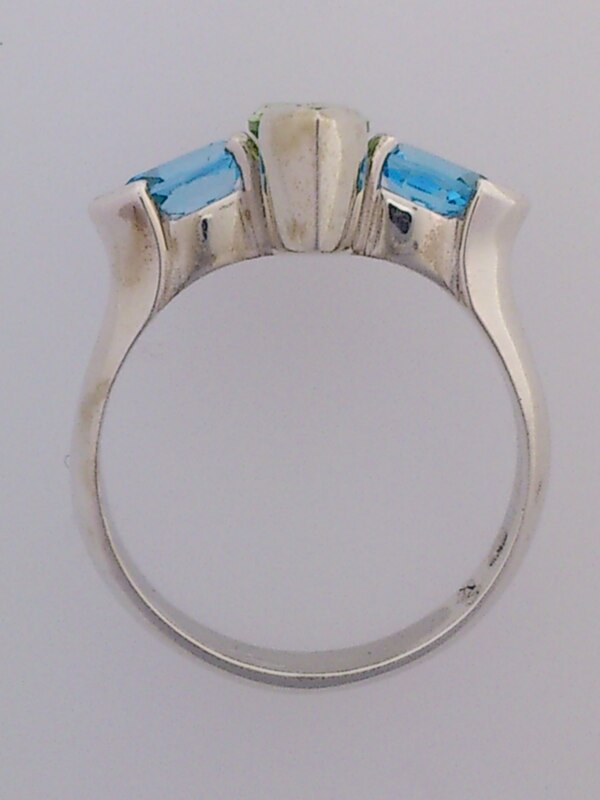 The shoulder continues on to form V-shaped end setting claws.